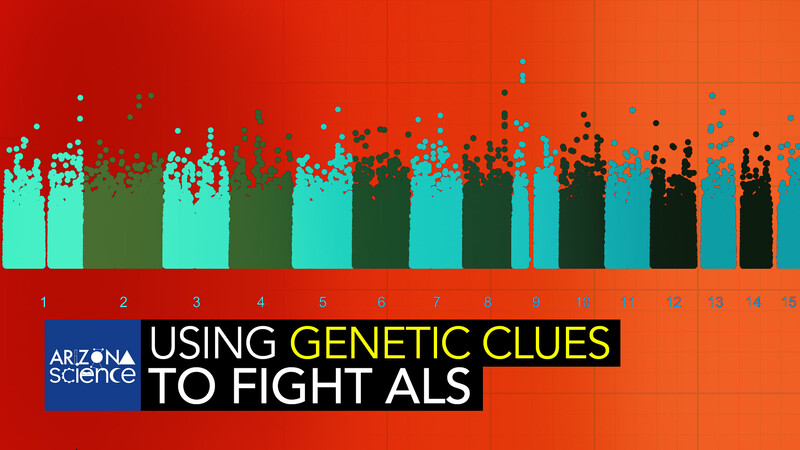 U of A molecular biologist Daniela Zarnescu is using a catalog of genetic information to help provide clues in the battle against ALS. A team of University of Arizona scientists are working to solve the mystery behind Amyothrophic Lateral Sclerosis (ALS), or Lou Gehrig's disease. ALS affects the nervous system and causes extreme muscle weakness, leaving patients unable to speak, swallow, or breathe. It has no known cure. Not many patients survive more than four years after diagnosis. U of A molecular biologist Daniela Zarnescu is using a catalog of genetic information to sift through a list of drugs that could provide clues to successfully battle the disease.